Although Uber Technologies Inc. recently halted its self-driving truck program, the ride-hailing pioneer is doubling down on its Uber Freight load-matching business and announced that Otto co-founder and former Uber executive Lior Ron will rejoin the company to run that unit. Uber said it will more than double its investment in Uber Freight to support further expansion and product development. The company did not provide financial figures. “Over the past year, Uber Freight has become one of our fastest-growing and most promising businesses,” an Uber spokesperson said. 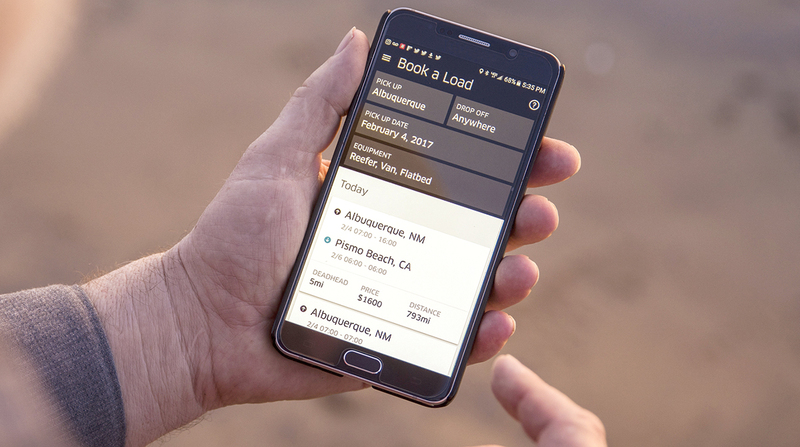 Uber Freight, launched in May 2017, automates trucking transactions through a mobile app designed to make it easier for carriers — especially owner-operators and small fleets — to quickly find and book loads that match their preferences. Ron, who departed Uber in March, originally joined the company through Uber’s 2016 acquisition of self-driving truck startup Otto, which he co-founded with Anthony Levandowski. Levandowski was at the center of a trade secrets lawsuit filed by Waymo, the self-driving vehicle unit of Alphabet Inc. Uber paid about $245 million in stock to settle that case in February, Bloomberg News reported. In his return to Uber, Ron will lead Uber Freight as an independent business unit within the company and report to Uber CEO Dara Khosrowshahi. In our second episode of RoadSigns, we ask: How will the next levels of automation be deployed? Hear a snippet from Chuck Price, vice president of product at TuSimple, above, and get the full program by going to RoadSigns.TTNews.com. Since its launch last year, Uber Freight introduced a fuel and parts discount program for drivers and carriers actively using the app. It also added a “fleet mode” to make it easier for dispatchers at fleets, especially those operating up to 10 trucks, to book loads and assign them to drivers. Uber has not disclosed how many shipments its users have moved via the platform but said its load volume is doubling every quarter. Carriers and shippers now are using Uber Freight to transport loads across the continental United States, the company said. Uber also said it has tripled the size of its Freight staff over the past 15 months at its offices in San Francisco and Chicago. The Uber Freight announcement came a week after Uber said its Advanced Technologies Group would end development on the company’s self-driving truck program. The company continues to pursue automated driving technology but now is directing those efforts toward passenger cars only. Uber resumed testing of its self-driving cars in Pittsburgh in July, four months after an SUV equipped with its technology struck and killed a pedestrian in Tempe, Ariz.